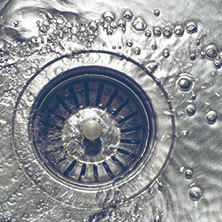 Drain Cleaning Lynn, MA: Grease Trap Cleaning, Drain Jetting, And More! Dash Drains is your premier drain company serving Lynn, MA and the surrounding areas. 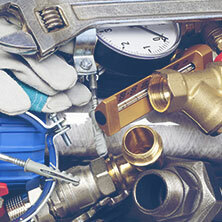 We have nearly two decades of hands-on experience in the residential and commercial drain and plumbing industry. Our goal is to provide tailored service, diagnose and fix problems, and create lasting relationships with our clients so you always know who to call for anything from a leaky pipe to a sewage backup. 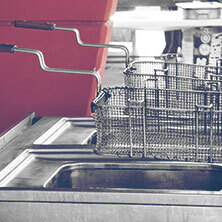 Grease Trap Cleaning: Restaurants, cafeterias, and food courts all need to ensure their grease traps are regularly cleaned or else they could experience a gnarly backup. Our technicians aren’t afraid to get dirty and use a little elbow grease to ensure your grease trap is performing at its best. Drain Jetting: Water jetting for drains involves shooting a highly pressurized stream of water through your pipes to blast away clogs, sludge, and mineral buildup. This eco-friendly alternative to pouring harsh chemicals down the drain is an effective and low-cost solution to stubborn drains. Pipe Camera Inspection: Drain camera inspections can do everything from locate that lost wedding band to ensuring you aren’t buying a house that is about to have a huge plumbing problem. We use a high-quality snake camera and can watch a live stream so we can see inside of your pipes. Pipe Location: If you are about to start a construction project in your backyard or on the grounds of your residential or commercial building, the last thing you want is to start digging and hit a pipe. Our pipe location services set our drain company apart from the rest. We can locate existing pipes and determine depth so there are no surprises. Odor Detection: If you are smelling a weird odor — such as a musty or sewage-y odor — you could have an issue with your plumbing. Give us a call and we’ll come diagnose the problem and fix it. General Plumbing Services: Unclogging drains, snaking pipes, fixing leaks, and any other issues that have you typing “plumber near me” into Google! Preventative Maintenance: Don’t ignore your pipes until there is a problem. We can drain your water heater, remedy slow drains, inspect your septic tank, and more to ensure we catch any issues before they become big expensive problems. 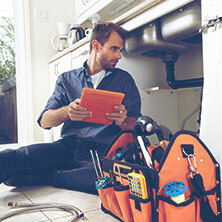 24/7/365 Emergency Plumber: You’ll remember above we mentioned wanting to create lasting relationships with every person who uses our services. Whether you’ve been trusting Dash Drains for years or you’ve never called us before, we want to be the first people you go to during a plumbing emergency. If you have a burst pipe, your toilet is overflowing or some other catastrophe is occurring, give us a call and we’ll dash right over. Whether you need some regular maintenance or are frantically searching for an emergency plumber in Lynn as your bathroom floods, you can count on Dash Drains to be there. We serve Lynn, Boston, and the surrounding areas. Get in touch today! Not In Lynn? Check Out Our Other Service Areas!